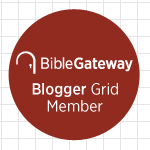 « Wesley’s Revision of The Shorter Catechism, Part 3: How do we “enjoy God”? Unlike James and John in Luke 9:51-56, we would never ask the Lord to bring the fire of God’s judgment onto unbelievers. Yet when we fail to share the gospel—whether out of indifference, fear, or benign neglect—aren’t we effectively doing the same thing? 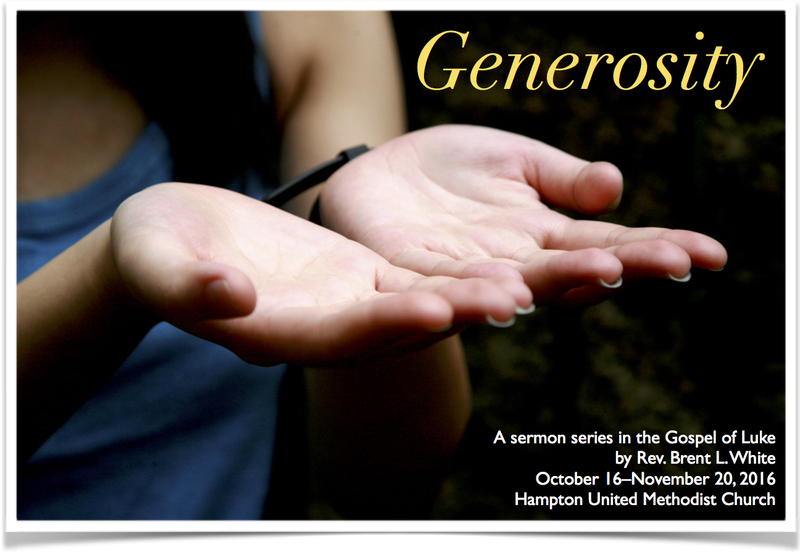 Among other things, this sermon explores the connection between our mission as disciples and the money we give to support it. Today’s scripture always makes me uncomfortable because I identify with this Rich Young Ruler. I worry that, like him, I would find it impossible to sell all of my possessions and give the money to the poor. Frankly, I like my middle-class American income and lifestyle, and I wouldn’t want to sacrifice that. So I worry that the biggest difference between me and the Rich Young Ruler is that Jesus never asked me to give up everything—thank you, Jesus! Because I’m sure it would be hard! Jesus is frequently asking us to do difficult if not impossible things. For example, after the week that we just went through as a nation, I’m reminded that loving and forgiving and praying for our enemies might be as difficult for us to accomplish as giving away all our money! I’m reminded that resisting the temptation to “practice our righteousness in front of others to be seen by them”—to say things or post things on social media that demonstrate how good and virtuous and righteous we are—that’s also about as difficult as giving away all our money. Honestly… I read posts from Christians last week on both sides of the political spectrum that called into question the authenticity of another Christian’s faith—because they happened to vote differently from someone else. Some progressive Christians said, in so many words, “These people who voted for Trump need Jesus!” And you know what? They’re right. Trump voters do need Jesus… and so do Clinton voters. Other, more conservative Christians said, in so many words, “If you’re a Democrat, you’re going to hell!” And to their credit, a lot of Democrats are going to hell—apart from the gift of forgiveness and eternal life that God gives us through his Son Jesus! By all means! And guess what? A lot of Republicans are, too. And that’s my point: Let’s keep our eyes on the ball! Satan loves the way he’s divided Christians in this presidential election. He’s distracted us from our mission! And he loves it! After all, we often have such passion, such a sense of urgency—we feel such conviction—when it comes to telling people how wrong they are to support this or that presidential candidate… We just have this burning desire to tell them exactly how we feel. We can’t contain ourselves! We just feel like we’re going to explode unless we tell other people why they’re wrong! But brothers and sisters, where’s this same passion, this same sense of urgency, this same conviction, when it comes to telling other people about Jesus Christ—and how they can have their sins forgiven, and how they can be saved… for eternity? And how they can be given power to live a new and better life now! Where’s the passion for that? I know we can get fired up about the one thing. Why not the other? Which is more important? Let me say one more thing about this, and I’ll move on… Our Lord commands us to pray for our rulers… Which means we should be praying right now, every day, for President Obama. Just as we should now be praying for President-elect Trump. And Jesus commands us to pray for our enemies—and for some of us that may as well be the same command—to pray for our enemies and to pray for our rulers. For others, that means we should pray for Secretary Clinton and her supporters—even those people who are protesting. So there’s no getting off the hook for any of us! Here’s what I’ve found to be true in my life: When I pray for someone—sincerely pray for them, which, among other things, is to sincerely desire their well-being—to desire that God will bless them and show them his favor. When I sincerely pray for someone, I find that it’s impossible to hate them. It can’t be done. All that to say, look into your heart. Consider how you’ve felt this past week when you’ve read a Facebook post or a tweet—when you’ve seen someone post something that you just can’t believe… Or maybe you’ve seen something on cable news or heard something on the radio that’s upset you—it makes your blood boil, you’re so angry. Jesus knows what’s in your heart. And I suspect that a lot of us, if not most of us, have some repenting to do… For things we’ve said or at least thought this past week. O.K. I need to return to some scripture that we looked at last week. [Read scripture.] There was a point I wanted to make in last Sunday’s sermon but didn’t have time. I feel like its urgently important—and I’m going to tie it into this week’s scripture anyway. But it’s Luke chapter 9, verses 51 to 55. Jesus and his disciples are passing through a Samaritan village on their way to Jerusalem. The Samaritans refuse to welcome them, to show them hospitality, to let them stay in their town. This is not without biblical precedent. There’s an event described in 2 Kings in which King Ahaziah sends soldiers to arrest the prophet Elijah. The commanding officer says to Elijah, sitting on a hill, “O man of God, the king says to come down.” And Elijah says, “If I am a man of God, let fire come down from heaven and consume you and your men.” And that’s exactly what happens. Twice. It would have happened a third time, but the commanding officer begs Elijah for mercy and God relents. To their credit, James and John know that Jesus is much greater prophet than Elijah. So why shouldn’t the fire of God’s judgment fall on these Samaritans who’ve rejected Jesus, just as it fell upon the enemies of Elijah when they rejected God? Regardless, as sensible as this suggestion may have seemed to these brothers, Jesus rebukes them. And their suggestion rightly offends us today. We hear this story and feel morally superior to James and John. After all, we would never want the fire of God’s judgment to come down and consume people who reject Jesus Christ. Right? Well… Let’s not answer too quickly. After all, at this moment, there are tens of thousands of people within a few miles of our church who are currently rejecting Jesus Christ. What do we believe will happen to them if they persist in unbelief and continue to reject Christ’s free gift of salvation? As I’ve preached recently, many of us, including myself, need to change. We need to make witnessing—by which I mean sharing the gospel through words in addition to actions—our top priority. And I can’t tell you how deeply touched I was a couple of weeks ago at our annual Trunk or Treat festival that there were some people from our new Witness Team—Hettie, Sherrie, Carol, and Diane Landin—who were telling visitors about Jesus Christ! Handing them gospel tracts. Handing them small paperback versions of the Gospel of John—with information about how they could be saved. Offering to pray with them. Dozens of the visitors that night heard the gospel—at least a little bit. That’s wonderful! In my four years we haven’t done that—so shame on me. But we’re doing it now. And we’re going to build on that for our next big community event on December 1—at the live nativity. We’re going to tell visitors the entire Christmas story—through live action, narration, and music. A large group of us, including Wendy, Paulla, Gary, and the youth group, are planning that right now. When people set foot on this church property I want them to know why we’re here! And they’re going to. From now on they’re going to! As long as I’m pastor here they will! But you know what I got to thinking? I’ve been a pastor for twelve years now—at three different churches. And in all those years, church people have complained to me that I preach too much about money… I get that sometimes… Or church people have complained to me about other church people who don’t give their fair share. “What are we going to do about all these free-loaders?” I’ve heard that before. Or they complain about how we don’t have the money to pay for this particular ministry or to hire that particular person. I’ve heard that plenty of times. Now, people have complained to me about the need to attract new members—especially young people, young families—but that’s just sheep stealing. Which is usually how Methodist churches “grow”—they get already-saved people from one church to come to their church. As long as people are joining the church, no one complains that everyone joining is already a Christian. I bring this up because, on the one hand, our church is behind on budgetary giving and we need to catch up by the end of the year. But on the other hand, our church has had exactly zero professions of faith this year, in 2016. Not even one! We’ve had relatively few visitors, too—much less people being converted. So for the entire calendar year of 2016, for all the ministry that we’ve done this year, not a single soul has been saved—as far as we know. So these are two facts about our church this year: we’re behind on our giving in 2016, and no one has come forward to repent of their sins and place their faith in Jesus Christ in 2016. So you tell me: Which of these two facts about our church should bother us more? Which of these two facts does bother us more? Here’s the truth: I am less interested in our giving enough money this year so we can pay our apportionments, or pay my salary, or pay to keep the lights on, or pay to keep the heat or the air conditioning running… I’m less interested in our doing that than I am in our sharing the gospel of Jesus Christ with people who are lost! But do you think there’s a connection between faithfully giving our money to the Lord and sharing the gospel with the lost? Well, of course there is! Because if we really believed in saving the lost then we would not be satisfied with a budget that, even in the best of financial times, just scrapes by… just meets the bare minimum required to keep the lights on, to keep the heat running, to keep the air-conditioning running, to pay our staff, to pay our repair bills. In the best of financial times, we barely have money to do any ministry, any mission—once we’ve paid the overhead. And I can’t help but wonder: If our church was passionate about reaching lost people with the gospel of Jesus Christ—and we believed that the money we gave was a necessary part of reaching the lost with the gospel—then, brothers and sisters, I believe the money would be here… But it’s not… Year after year, it’s not. So what does that mean? What does that say about us? This entry was posted on	November 18, 2016 at 1:30 pm	and is filed under Uncategorized.